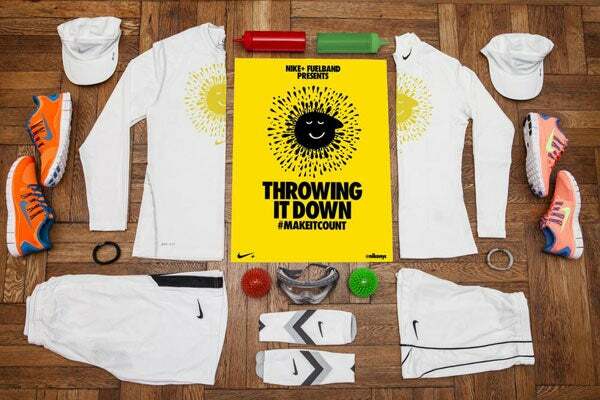 From Dodgeball To Powderball, Nike Invites You To Play Ball! We're all for getting our heart rates up, but in this brutal heat-and-rain cycle we've been having, all bets are off when it comes to taking a leisurely run outside. Instead, we're getting really into Nike's Fuel Band events, going on continuously around the city all summer long. And when we call them major, you've got to believe us. The brand recently rented out the Barclays Center for an epic dodgeball game. Next up? Tomorrow's powderball match (think water-balloon fight meets Diwali) at Good Units. In order to get more info for upcoming events, follow @nikenyc. Participants are chosen based on Nike+ FuelBand and NikeFuel activity, so keep moving and you can get involved in everything from skateboarding on a custom-built skate barge to elevated running and training in Montauk. Now how's that for initiative?